Known as the ‘floating flower garden’, the beautiful island of Madeira is situated in the Atlantic Ocean between the Canaries and Portugal. 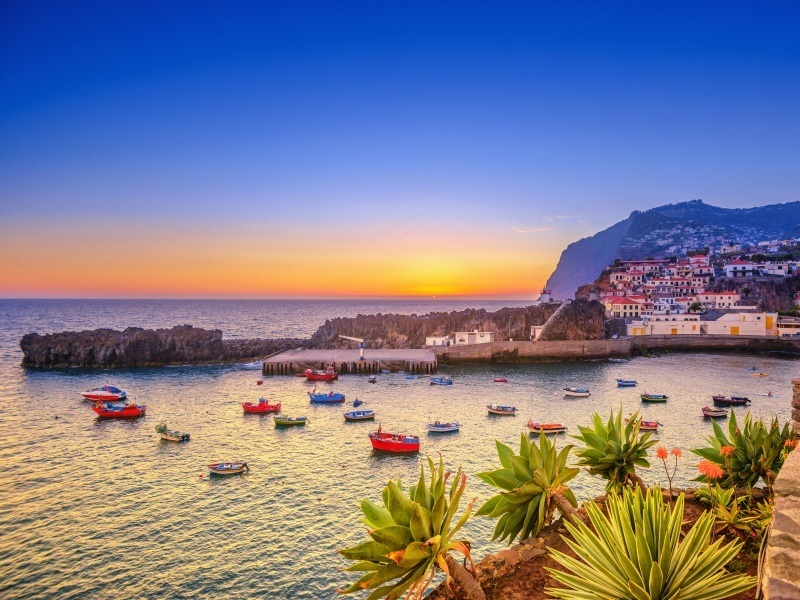 This Portuguese territory is lapped by the waters of the Gulf Stream and was discovered in the 15th century by explorers in the service of Prince Henry the Navigator. In fact, it is the summit of an underwater mountain. Hotel Do Carmo is ideally situated in Funchal city centre, in Madeira. The hotel is close to key attractions including Funchal’s Cathedral, Market and the Old Town, as well as the city’s shopping area. Guests can enjoy the hotel facilities which include an onsite bar and restaurant, as well as a rooftop pool. Due to the very central location of this hotel in the heart of Funchal, your coach will be unable to drop you directly to your hotel. You will have an approximate 5 minute walk to your bus for all transfers and excursions. Hotel Girassol, renovated in 2017 in a modern, welcoming style, is located just 300m from the seafront in the popular Lido area of Funchal and 2km from the city centre. The suite-style rooms are generous in size and the property offers pleasant gardens and outdoor areas as well as a bar and lounge, where guests can relax in comfort. The stylish Melia Mare Hotel is perfectly situated in Funchal’s resort area, with breathtaking views over the Atlantic Ocean and easy access to the sea-front promenade as well as the small Praia do Gorgulho cobble stone beach. With its generously proportioned terraces, an extensive range of leisure facilities and well-appointed accommodation, this hotel is an ideal choice for a special occasion holiday in Madeira.